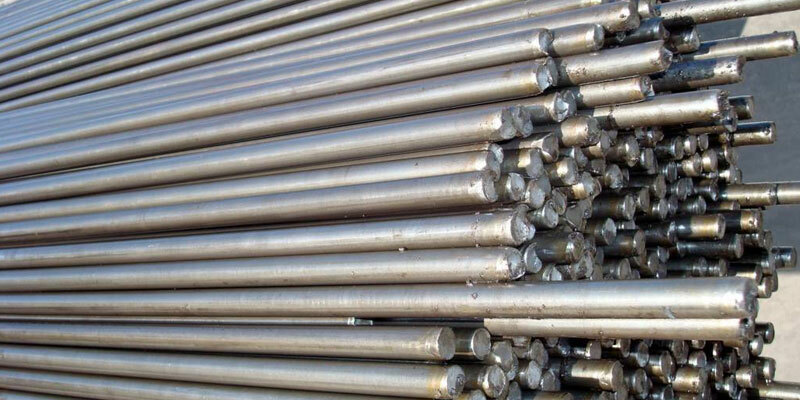 ASTM / ASME SA 276/479 Stainless Steel Round Bars, Werkstoff Nr 1.4000 SS 410 Round Bars & Rods, Stockist of SS 410 Round Rod In Mumbai, Stainless Steel DIN 1.4006 Round Bars. Gunratna Metals, based in Mumbai, is engaged with offering a immense range of Stainless Steel 410 Round Bars (SS 410 Round Bars) as a producer, exporter, stockiest and provider to our local and worldwide customers. We manufacture these Stainless Steel 410 Bars (SS 410 Bars) utilizing best nature of materials in going along by methods for the finest quality gauges. The steel can be used in welding purpose. It is able to bear a good weight with ease and you also get the ease of fabrication. It is non magnetic and very fair conductive to electricity. Our benefactors can benefit these Stainless Steel 410 Rods (SS 410 Rods) from us and no more insignificant expenses. As for national and global nature of crude materials, we additionally offer these UNS S41000 Round Bars (otherwise called WNR 1.4006 Bars) in tweaked sizes and thicknesses according to particular requests by our regarded customers at showcase driving costs. These products are reliable in nature and offered products are superior in quality. Gunratna Metals Supplies Stainless Steel 410 Round Bars & Rods in Agartala, Agra, Agra Rampur, Ahmedabad, Aizawl, Ajmer, Aligarh, Allahabad, Alwar, Amaravati, Ambala, Ambattur, Ambernath, Amravati, Amritsar, Aurangabad, Bangalore, Bareilly, Belgaum, Bhagalpur, Bhavnagar, Bhilai, Bhiwandi, Bhopal, Bhubaneswar, Bidhannagar, Biharsharif, Bikaner, Bilaspur, Bokaro, Chandigarh, Chennai, Chittoor, Coimbatore, Cuttack, Dahod, Davanegere, Dehradun, Delhi, Dhanbad, Dharamsala, Dindigul, Diu, Durgapur, Erode, Faridabad, Fatehpur, Gandhidham, Gandhinagar, Ghaziabad, Greater Hyderabad, Greater Mumbai, Greater Warangal, Gurgaon, Guwahati, Gwalior, Haldia, Howrah, Hubballi-Dharwad, Hyderabad, Imphal, Indore, Jabalpur, Jaipur, Jalandhar, Jammu, Jamnagar, Jamshedpur, Jhansi, Jodhpur, Junagadh, Kakinada, Kalyan-Dombivali, Kanpur, Karnal, Kavaratti, Kochi, Kohima, Kolhapur, Kolkata, Kota, Lucknow, Ludhiana, Madurai, Mehsana, Mangalore, Mangaluru, Mira-Bhayandar, Moradabad, Morbi, Mumbai, Muzaffarpur, Mysore, Nagpur, Namchi, Nasik, Navi Mumbai, NDMC, Nellore, New Delhi, New Town Kolkata, Noida, Oulgaret, Pali, Panaji, Panipat, Panvel, Pasighat, Patiala, Patna, Pimpri-Chinchwad, Port Blair, Puducherry, Pune, Raipur, Rajkot, Ranchi, Raurkela, Industrial Township, Rourkela, Sagar, Salem, Satna, Secunderabad, Shaharanpur, Shillong, Siliguri, Silvassa, Solapur, Srinagar, Surat, Thane, Thanjavur, Thiruvananthapuram, Thoothukudi, Thrissur, Tiruchirapalli, Tirunelveli, Tirupur, Tumkur, Udaipur, Ujjain, Ulhasnagar, Vadodara, Vapi, Varanasi, Vasai-Virar, Vellore, Vishakhapatnam. Gunratna Metals exports Stainless Steel 410 Round Bars & Rods to Countries like India, United States, United Arab Emirates, Canada, Pakistan, Peru, Chile, Spain, France, United Kingdom, Indonesia, Israel, Iran, Kuwait, Mexico, Malaysia, Serbia, Singapore, Taiwan, Chile, Venezuela, Ecuador, Saudi Arabia, Netherlands, Brazil, Colombia, Ghana, Iran, Denmark, Poland, Australia, Afghanistan, Bahrain, Costa Rica, Egypt, Iraq, Jordan, South Korea, Kazakhstan, Sri Lanka, Lithuania, Norway, Oman, Philippines, Poland, Qatar, Russia, Vietnam, South Africa, Mexico, Turkey, Hungary, Algeria, Angola, Argentina, Austria, Azerbaijan, Bangladesh, Belarus, Belgium, Bhutan, Bolivia, Bulgaria, Croatia, Czech Republic, Estonia, Finland, Greece, Italy, Japan, Libya, Romania, Thailand, Trinidad & Tobago,Tunisia, Ukraine, Yemen, Hong Kong, Gabon, China, Portugal, Switzerland, New Zealand, Sweden, Slovakia, Kenya, Lebanon, Morocco, Mongolia.